Hot on the tail of the SPECTRE posters is the first teaser trailer for the 24th James Bond film, and Sam Mendes' second. 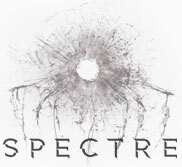 Whilst the 'Quantum of Solace' teaser hit the internet on 30th June 2008 after nearly seven months of principal photography and 'Skyfall' was first previewed on 21st May 2012, the SPECTRE teaser has been released just four months into the shoot. The BBFC approved the teaser trailer on 18th March without cuts, granting it a PG rating. Although this time the trailer was revealed on neutral ground with its worldwide release managed by 007.com, "Quantum" was released via AOL and MSN, and in 2012, BBC News aired the 'Skyfall' trailer first, before it appeared on the big screen at the Cannes film festival that night, introduced by Bond girl Bérénice Marlohe. Glimpses of the sequences filmed so far in London, Austria, Rome, and on set at Pinewood are all visible in the trailer. However, what is seen here is no guarantee of a what will appear in the final film; many will recall that some sequences filmed for 'Skyfall' appeared in its teaser trailer back in 2012 but were absent from the final cut of the 23rd adventure when it premiéred that November. Meanwhile, shooting continues on location in Mexico City for the colourful pre-titles sequence of the film that includes a recreation of Mexico's famous Day of the Dead festival.